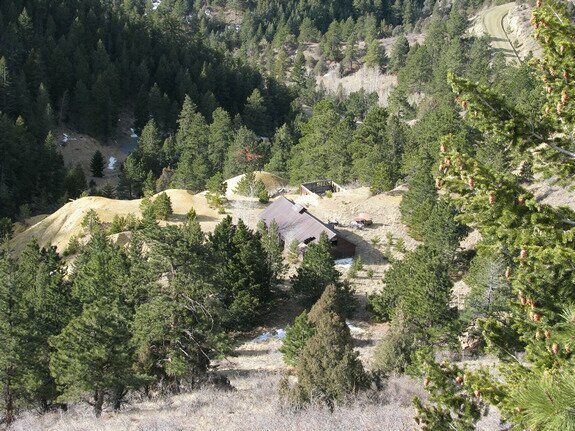 The Gilson Gulch site is on private property and all access to the roads still seen from satellite view in the gulch are off limits. 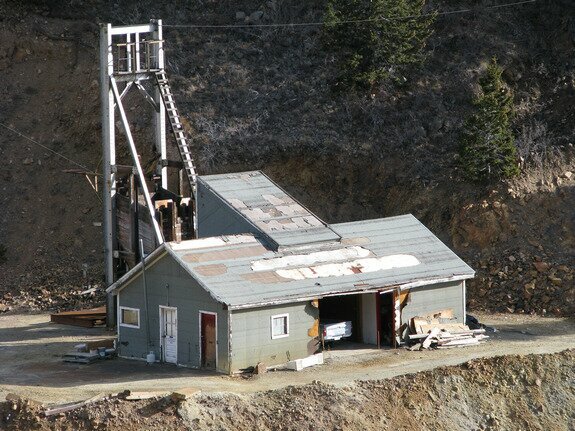 Many mine tailing piles are visible, but none of the original town buildings remain. 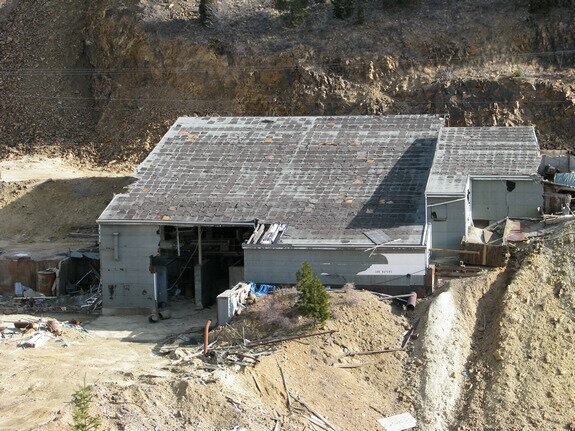 What does remain are the remains of more modern structures of mining, also abandoned. You can get a good view of the area from the road above. Date Taken: 2009:02:18 10:20:06 Want to use this image? See the More information tab. Date Taken: 2009:02:18 10:26:41 Want to use this image? See the More information tab. Date Taken: 2009:02:18 10:27:00 Want to use this image? See the More information tab. Date Taken: 2009:02:18 10:27:10 Want to use this image? See the More information tab. Date Taken: 2009:02:18 10:27:16 Want to use this image? See the More information tab.